This week, Suzanne Beachy (full bio below) TEDxColumbus 2010 speaker shares her favorite talks. A mom since 1980, Suzanne Beachy began packing school lunches for her son Jake in 1986. Twenty-four years later, she is still packing school lunches for her young kids, Natalie and Collin. In addition to the usual mommish duties of cleaning up messes and attending to the needs of young digestive systems, Suzanne has worked for pay as a music librarian, bass player, stage hand, professional letter writer and copy editor, and as a partner in her husband Tim’s building business. 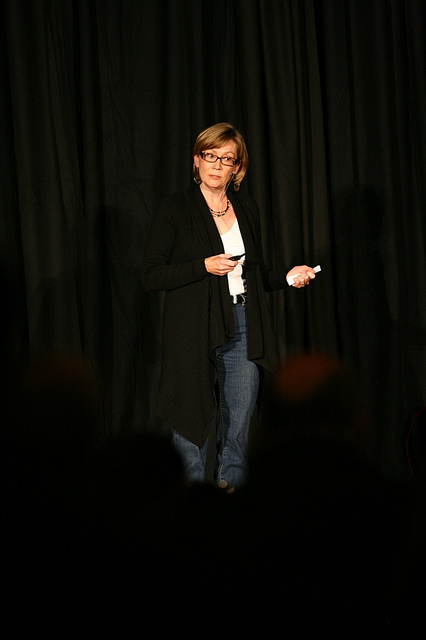 Suzanne was a TEDxColumbus 2010 speaker.